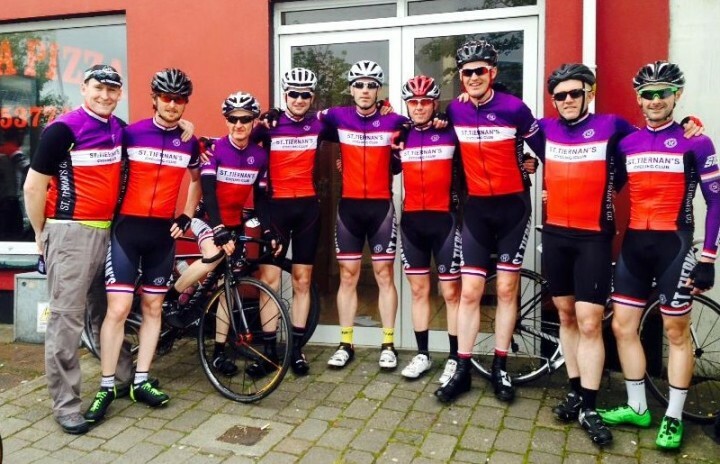 On Friday, June 5, 2015, eight men left Dublin for Donegal, armed with bicycles and purple jerseys. What awaited them was wind. Some hills. More wind. Bigger hills. Birthday cake. And a mountain. June 6, 9.27am, Let the wind commence. 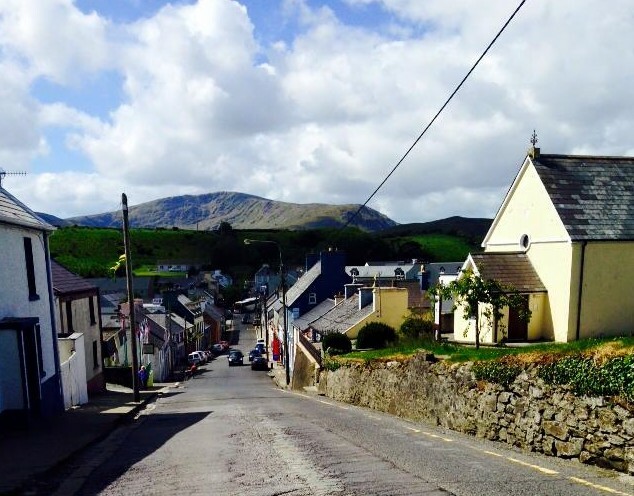 RAS Dhun Na nGall – stage 1. A very windy stage that made the riders work hard. A crash after the first KoH created a split that saw a number of riders working hard to catch back on. Four riders finishing in the bunch with the other four finishing a couple of minutes down. All home safe. Roll on the TT. Man this race is hard. The wind just saps the strength. After the TT this morning all the riders were still feeling happy. 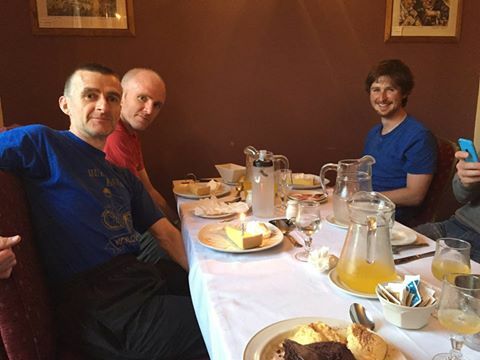 John McGettigan moved to 22nd overall and John Malone, Richard Gallagher and Adam Greally sitting in top 50 overall. The team was sitting in 7th overall. First crushing defeat today in RAS Dhun Na nGall. Got car #7 this morning after TT, right up close to all the action. 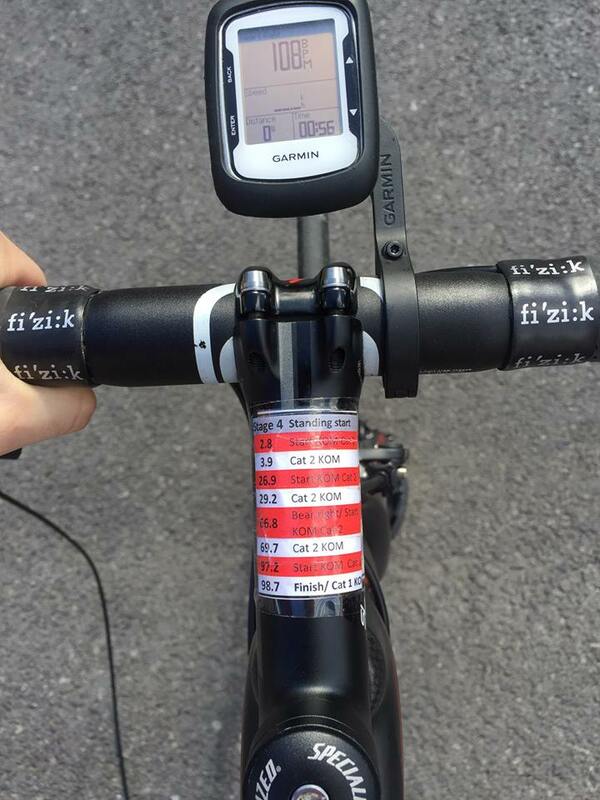 15mins before start I was told they made a mistake and car positions should be handed out by GC ranking, not team ranking, plummet back down to Team car 16 [try harder lads!]. Still among action due to the toughness of the stage though, riders everywhere. June 7, 10.43, Hello hills. . . Stage 3: I read somewhere that the IRA had buried all their weapons for the ceasefire agreement, but I reckon someone forgot to hide the grenades because there were explosions all over the peloton yesterday. From the 1st km of racing riders were getting dropped and early in the race small grupettos started to form. We had three riders finish in the main bunch and the rest of the riders rolled shortly after. With tired bodies but upbeat minds, the riders were in good form. 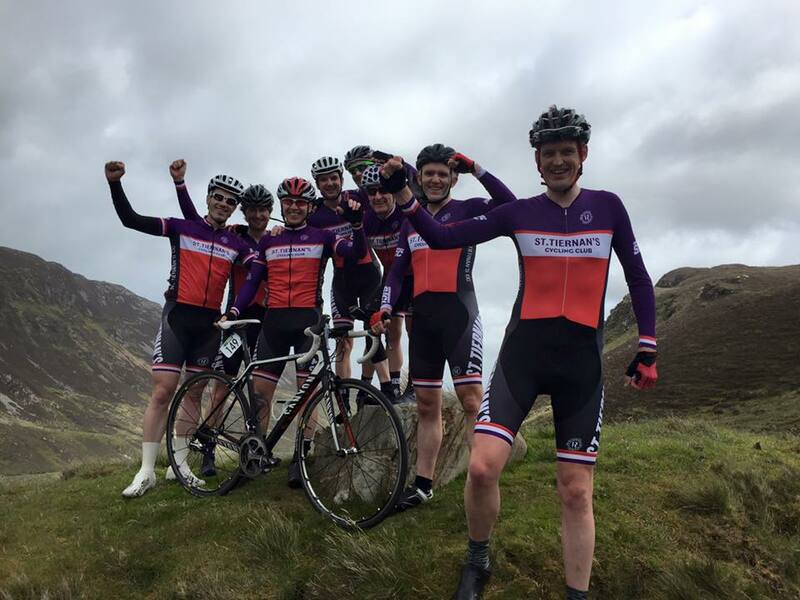 Last year’s Ras Dhun na nGall team celebrate before the start of the final, brutal stage up Glengesh. 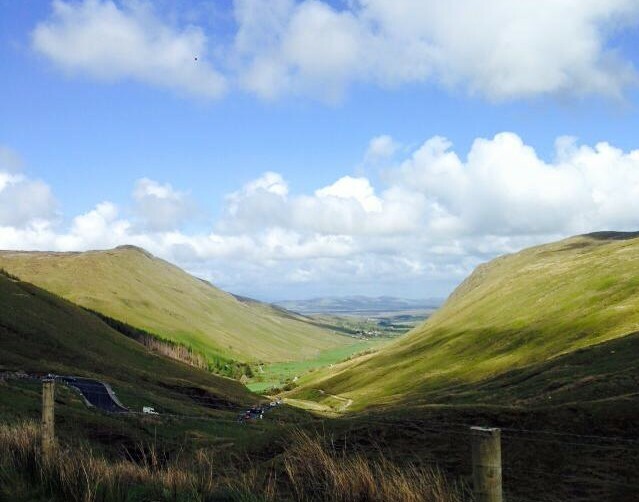 The sun is shinning and it looks like a great day to climb Glengesh Mountain [from the man who will be doing it in a car, see:]. At least this good weather will make the drive more pleasant. Stage 4 and the end. 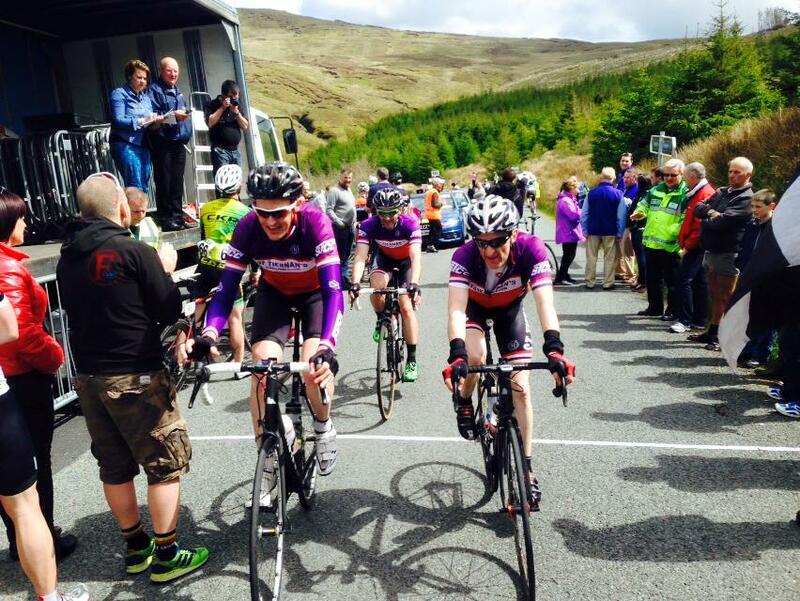 The sun was out but the apprehension of Glengesh prevented any lasting breakaway group. Our only casualty was Richard Gallagher who came down in some gravel and got a bit of road rash. 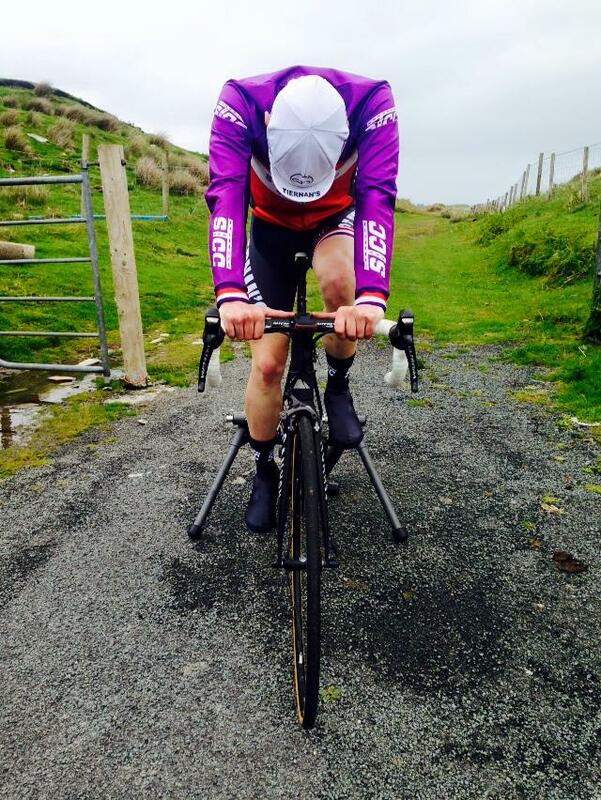 He was out in the wilds of Donegal and comments the only thing he heard as the team car passed was “Rule No. 5”. The remainder of the riders finished on top of Glengesh in two groups John Malone, John McGettigan, James Quinn and Adam Greally all finished in the bunch. Fergal May, Louis Twomey and James Kelly crossed the line together a short time later. Well done lads a great weekend of racing on 4 tough stages. GC McG, aka John McGettigan, finished an impressive 18th on General Classification after the four stages, 5min 27s down on winner Mikkel Honore. Adam Greally, winner of a stage at the 2014 Tour of Omagh, was next in 38th, 6min 42s down, with John Malone in 60th and Fergal May and James Kelly also making it into the final top 100. 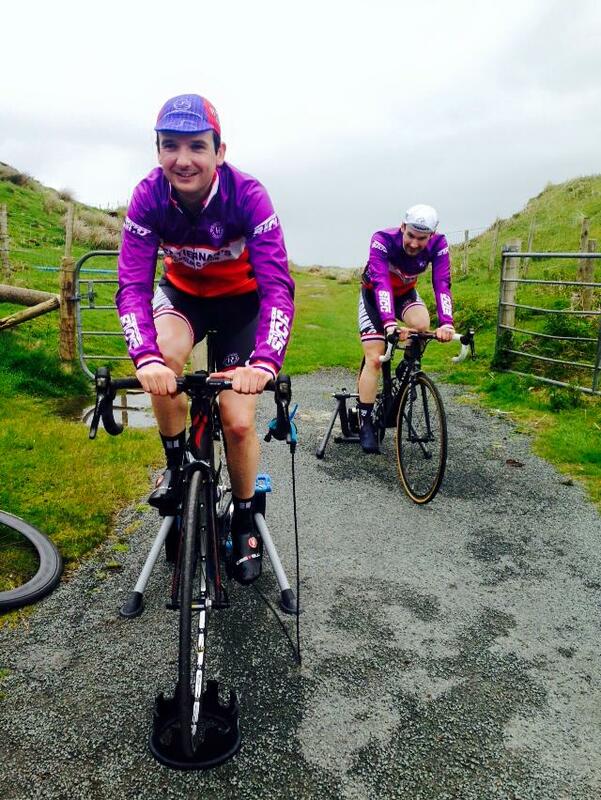 Louis Twomey and Richie Gallagher finished just outside, Gallagher due to that untimely last-stage crash. These combined efforts led to St Tiernan’s finishing sixth on Team Classification, 7min 34s off winners Errigall, responsible for the overall winner too. “Congratulations again to the lads for some fantastic performances, and overall placings to match, and commiserations to Richie for what could have been a great day’s performance being ruined by the crash. *Not all eight men are quoted as some are still unable to speak. Most likely, they have given up cycling. Visit DoneDeal.ie for a wealth of used racing bikes, still glistening with Glengesh dust. No Replies to "Eight men went to mow, went to mow a mountain - Ras Dhun na nGall, 2015"